Winchester is an historic cathedral city in the county of Hampshire. Erstwhile capital of England, it was from here that Alfred the Great governed the newly unified country. Visitors appreciate Winchester first and foremost for its cathedral, but also for its other ancient buildings, its medieval centre, its markets and museums. King Alfred’s seat, the ancient Saxon capital of England, the city of Winchester is just a few minutes’ walk from the South Downs. If you walk the South Downs Way from east to west, the trail ends right in the heart of the old city, at the 11th century cathedral. There’s lovely countryside close by, from St Catherine’s Hill, just one mile from the city centre, to the downland nature reserves at Old Winchester Hill and Beacon Hill, all home to wild flowers and rare butterflies. The Downs here are studded with pretty, unspoilt villages with quaint old pubs, like Corhampton, known for its unusual Saxon church; Wickham with its medieval square and watermeadows, and Warnford, which still has watercress beds, a traditional local crop. 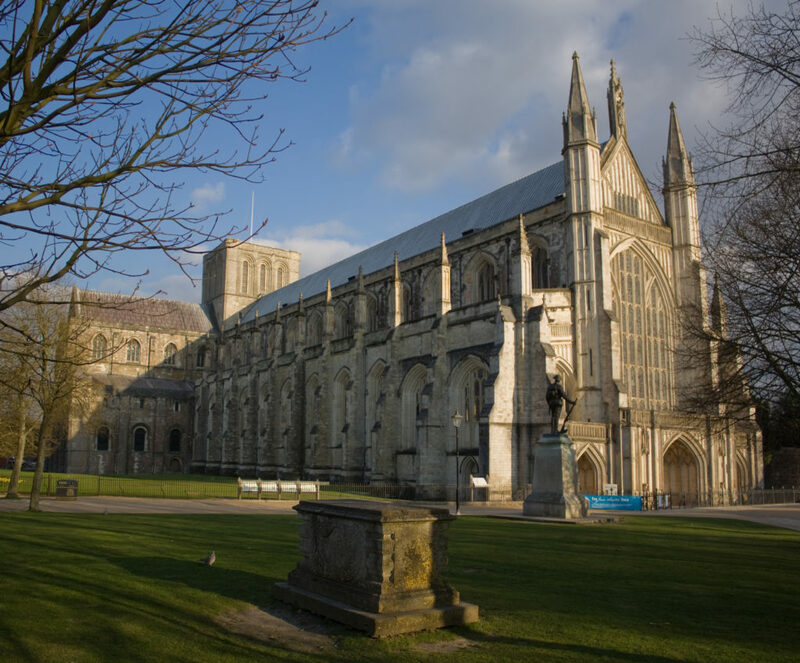 www.visitwinchester.co.uk – the official tourism information site for Winchester.